The 3.5mm port has been around for 37 years, but it could be phased out by Apple’s Lightning port and USB-C. WHEN THE FIRST Sony Walkman was released in 1979, it helped popularise something that had been around since the 60s. The 3.5mm headphone jack gave people a way to listen to their favourite music while on the move – first from cassette tapes before moving to CDs, MP3 players and now smartphones – and for the good part of 37 years, it’s been the standard. Now the last few months have seen talk of the headphone jack being phased out completely. In recent times, Intel has marked its intention to create a USB audio standard to help replace the 3.5mm port. And the most persistent rumour regarding the next iPhone, which will likely be announced at the start of September, is it will ditch the headphone jack, replacing it with earbuds that connect to the lightning port instead. That particular Apple rumour has been circulating since the start of the year – and it has been met with anger from some quarters - but the stage is set for devices to move on from the 3.5mm standard. This change won’t happen immediately, but you will see a gradual movement towards a different standard. 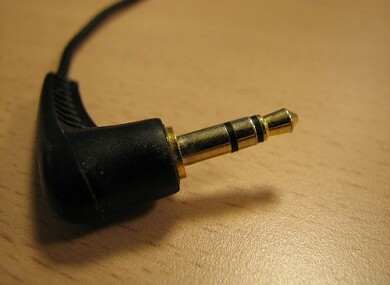 Probably the reason why the headphone jack is such a contentious issue is how universal it is. While devices and standards have changed significantly in its lifespan, it has managed to stay strong. If you need headphones, you don’t have to worry about whether you have the right port or not, you just plug it in. Despite improvements, the 3.5mm headphone jack is still analog technology, one of the last ones on your phone and most devices. Having an old analog standard mixed with new digital standards isn’t the best when it comes to space and efficiency. There are a few reasons for smartphone manufacturers to make the leap. Making a device thinner is the obvious benefit to removing it, but a USB-C or lightning cable connection would also allow better quality audio. According to Intel, going through a digital channel like USB-C will allow for better sound, and extra effects like noise cancelling or “concert hall” reverb. It would also mean you don’t need expensive headphones to get these effects. And USB-C is a standard that all smartphones will include eventually as they’ll be required by EU law to have the same charger. Devices like the Apple MacBook, the Google Nexus 6P and the Samsung Galaxy Note 7 include USB-C connectors and it’s a safe bet to assume this will become more commonplace as time goes on. Google's Nexus 6P (pictured) was one of the first smartphones to include a USB-C port. There is the matter of how exactly you’ll charge your device while you listen to music or podcasts – chances are you’ll need a dongle so you have two ports – but the power consumed by USB-C headphones shouldn’t be significant enough to make a difference (and who knows, maybe the extra space would pave the way for a larger battery). That’s not to say everything will be brighter and rosier as the argument against the move doesn’t just boil down to ‘it’s inconvenient’. Despite improvements, wireless speakers and headphones don’t match the same quality as its plug-in counterparts. You will likely need a dongle to listen and charge at the same time, the standard between Apple and other devices will be different, and potential problems with copyright by moving from analog to digital. It’s worth mentioning again that such changes won’t happen immediately. The number of devices offering USB-C is still tiny and while it will grow, you’re not going to wake up the next day and realise all your headphones are now useless. But don’t be surprised if your next phone goes down this direction. Email “The trusty headphone jack is approaching the end of its life”. Feedback on “The trusty headphone jack is approaching the end of its life”.